It’s official—we can’t stay put! 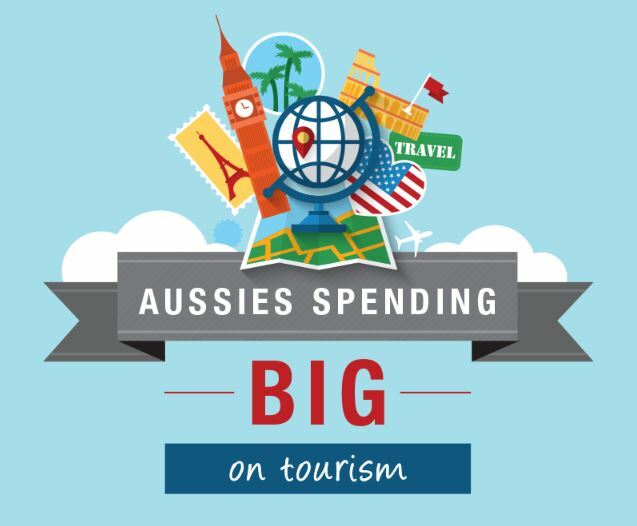 The number of Australians taking overseas trips has doubled in the last 10 years and our annual expenditure has reached a whopping $33.5 billion. 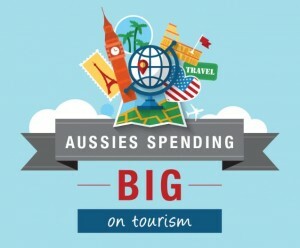 The growth in outbound travel and tourism spending in the decade from 2004 cannot be attributed to general population growth alone. While the general population grew at a rate of 15 percent over the same period (from 20.01 million to 23.5 million), resident departures grew by 100 percent, from 4.5 million in 2004 to nine million in 2014 (source: Australian Bureau of Statistics). Annual travel expenditure rose even more steeply, from $13.5 billion in 2004 to $33.5 billion in 2014, making us one of the top nations for per capita tourism spending (source: World Bank). Australians tendency to travel is attributed to a number of factors, among them Australia’s multicultural population, which explains why the purpose of nearly a quarter (23%) of resident departures are to visit family and friends. Our top reason for travelling, however, is to holiday and our favourite international destination is just a short jump across the pond, New Zealand. Remember, the cost of the airfare is just the beginning. Don’t forget to factor in airport transfers, hotels, car hire, tours, spending money, meals and travel insurance. Struggling to save for a holiday? Get there sooner with a customised budget plan to fast track your savings.